As some of you may know last month I joined Pi Beta Phi. Our symbols are the arrow and angels. 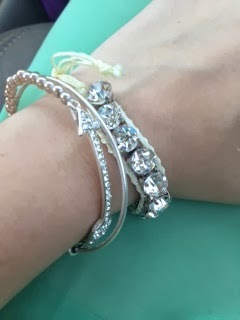 I happen to stumble upon some Pi Phi inspired accessories. 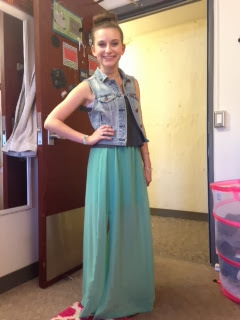 So, that is where this look is inspired from my lovely Pi Phi sisters. 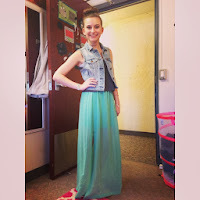 The Outfit: I paired my lovely Pi Phi inspired accessories with this sea foam green maxi skirt. Iowa weather is bipolar so it is still feeling like summer here. 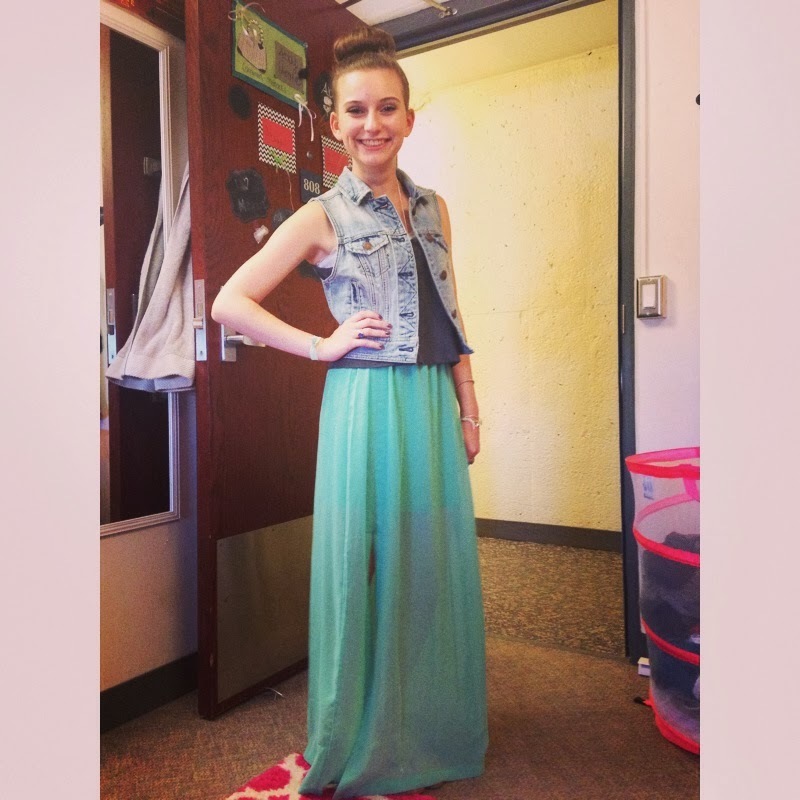 Pairing the skirt with a high low crop top and a denim vest I made a super casual look. 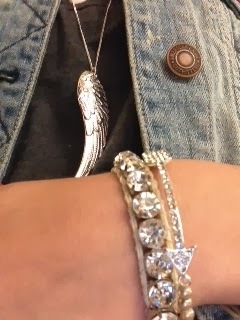 I jazzed things up with some silver arm candy and my angel wing necklace. Styling my hair made the look more casual and laid back. A topknot is my go to "I'm to lazy to actually do something with my hair" look. Because lets be honest we all have those days especially college students!